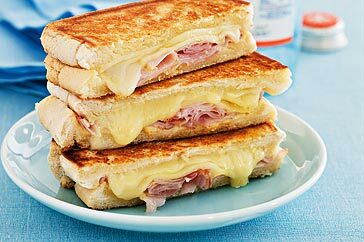 “Toasted Sandwiches?” We hear you cry. Good point – what the Hell are ‘toasties’ doing on a sneering blog such as this? Well, let’s take it back a step. Some of our best years were spent at uni. We were young, we were thin, and follwing a long evening chasing Happy-Hours around the city, there was nothing we couldn’t cook out of a jaffle iron. And what fond memories they are – until you start recalling the searing plastic cheese or the sound of scrapingthe last baked bean out of the tin. Fortunately for all of us, the humble ‘toastie’ has moved on. We first encountered this revolution when grabbing an early morning snack at Café Vue in Melbourne. The smallest of all siblings in Shannon Bennett’s Vue de Monde empire, it’s tucked away on Little Collins St alongside Bistro Vue, and does a pretty handy early morning trade . Sitting in the quit area out the back with a pot of green tea a quick scan of the menu showed the impossibly high standard of Vue de Monde trickled down through the empire. 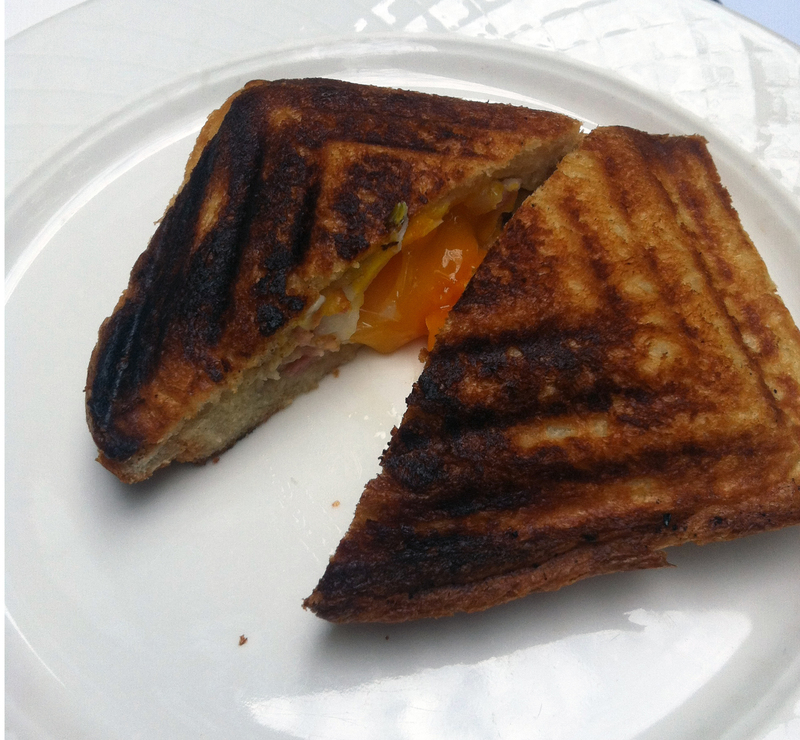 However, it was the deceptively simple sight of a toasted sandwich ($12.50) made the heart soar. Simply put, even the other lively offerings at this sophisticated café could not match the feeling of naughtiness that comes with having a jaffle for breakfast. The three main ingredients, that’s what. Firstly, smoked bacon, sourced from the Southern Highlands. Secondly, Hollandaise sauce, which countered the smokiness of bacon perfectly. Thirdly, and the final ingredient that takes combines a toasted sandwich with the best of modern café breakfasts – a beautifully poached duck egg. That’s right, Café Vue served up a version of Eggs Benedict in a toasted sandwich. What more could any human being require anytime before the bar is open? It was every bit as rich and delicious as you might imagine.